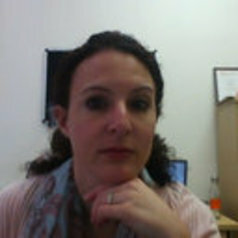 Margot Rubin is a senior researcher and faculty member in the University of the Witwatersrand (South African Research Chair in Spatial Analysis and City Planning) in Johannesburg. Since 2002, she has worked as a researcher, and policy and development consultant focusing on housing and urban development issues, and has contributed to a number of research reports on behalf of the National Department of Housing, the Johannesburg Development Agency, SRK Engineering, World Bank, Ekurhuleni Metropolitan Municipality and Urban LandMark. Her PhD in Urban Planning and Politics interrogates the role of the legal system in urban governance and its effect on the distribution of scarce resources and larger questions around democracy. She also holds a Masters in Urban Geography from the University of Pretoria, an Honours degree in Geography and Environmental Studies and a Bachelor of Arts in Geography and Philosophy. Of late, Margot has been writing about inner city regeneration, housing policy and is currently engaged in work around mega housing projects and issues of gender and the city.